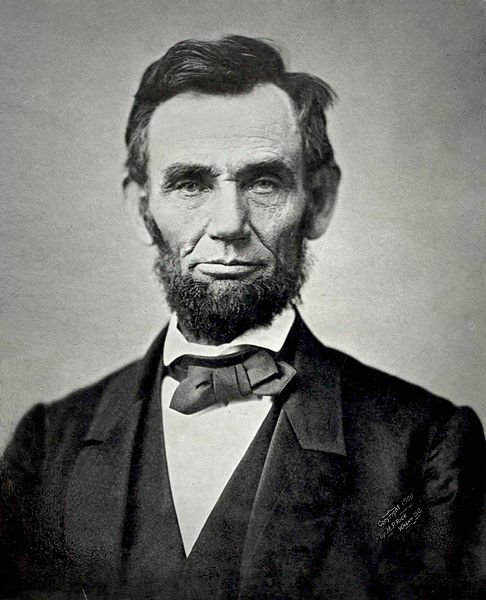 Abraham Lincoln – profound moral purpose, but no saint. I’ve just recently returned from holidaying in the United States on the coast of Maine. While there I happened to meet Professor Fred Kaplan, who is a distinguished author of literary biographies. 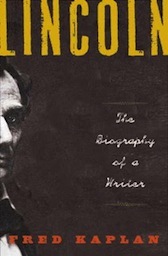 His most recent, Lincoln, the Biography of a Writer, is a book that I found fascinating, not least for its insights on leadership. In Lincoln’s case – and many in the US believe him to have been the greatest ever President – there can be no doubt that his love of literature played a pivotal role in shaping and sustaining him as a leader. This seems to me a point worth pondering given that we now live in a culture that values the explicit and measurable over the implicit and inherently unmeasurable. This is a relatively recent phenomenon. When he was the British Prime Minister in the 1950s and early ’60s, Harold Macmillan was known to go away for a few days to read Jane Austen to recover his balance and perspective when the going got tough. Just imagine what would be said of David Cameron today if he were to do something similar. Siegmund Warburg was one of the leading lights of the post-war City of London. In his recent biography, High Financier, Niall Ferguson reveals a man who favoured Classics graduates when recruiting. Warburg would also inquire at interview what novel the candidate was then reading. The correct answer, apparently, was to say that one was reading something by Thomas Mann. This appreciation of the perspective and wisdom that attends the study of literature, history and philosophy is now remarkably lacking in our public life and has been replaced by a reverence for scientific and technical skills to the apparent exclusion of all else. In business, no less than in government, there is a cult of managerialism that sees the world in principally quantifiable terms, as Locke and Spender describe in Confronting Managerialism. And as anyone working in Arts and Humanities faculties in British universities will know, government research funding is now heavily dependent upon quantifiable “impacts”, a phenomenon discussed by Stefan Collini in What are Universities For? Kaplan’s study of Lincoln serves as a powerful reminder of what we risk losing here. In a sense, it is leadership itself that is at stake if we define leadership in terms of rallying groups of people around a shared sense of purpose and direction. Lincoln was an autodidact, a poor boy from a family uninterested in learning, who read voraciously from an early age. There were certain texts to which he made recourse for pleasure and sustenance – the Bible, Shakespeare, Byron and Burns in particular. Although not a believer, at least certainly not in any conventional sense, it’s clear that the Bible shaped his moral vision and the development of his particular vision for America – one of prosperity for all born of discovery and invention and enabled by freedom, equality and democracy. Literature empowered him as a leader in other, important ways. It gave him great skills as both writer and speaker. He developed a style, particular to him, that married the earthy, practical language of his upbringing with the phrasing and cadences of great literature. He could be humorous, emotional and anecdotal whilst also intellectually rigorous. Without these skills it’s hard to see how he could have progressed as he did in the face of opponents often wealthier and better educated than he. Furthermore, the sheer power of his vision seems to have given him remarkable perseverance. For most of his adult life, the odds seemed stacked against him getting anywhere as a politician, not least because he was a Whig (later Republican) in the overwhelmingly Democratic state of Illinois. And he was not beyond making blunders that set him back. By the mid 1850s, when he was well into middle age, the situation seemed hopeless. Yet, when the uneasy truce between the North and South on the issue of slavery began to break down, he was able to seize his opportunity, becoming President in 1860. Such is the sustaining power of a clear and inspiring purpose and vision. Finally, literature gave him a sense of perspective on himself and with that a due humility. From an early age he was highly ambitious and felt a degree of unease about this. That unease stemmed from an internal battle as to what the end of that ambition was – was it self-aggrandisement or was it the wider, greater good? In this battle, it was literature that played the role of his “better angel”, with Gray’s Elegy in particular a constant reminder to him of the true end of selfish ambition: “The paths of glory lead but to the grave”. As Kaplan shows, Lincoln was no candidate for sainthood. He seemed to delight in making ad hominem attacks on his opponents and was not beyond smearing them in the most calculated and destructive fashion. But that he had a profound sense of moral purpose is clear, and therein lies his greatness. Kaplan makes a very strong case for the central role of literature in shaping Lincoln, a man who always had before him a sense of what he wanted to achieve and for whom the “how?” of his craft as a politician was always in the service of that aim. The Western world and it leaders seem currently to have lost sight of any purpose in life beyond maximising financial “return on investment”. The 2008 financial crisis may yet mark the beginning of a new era in which we define success in more balanced and humane terms. One of the indicators of whether real change is under way will be the extent to which we begin to see the study and appreciation of the Arts and Humanities as worthwhile in themselves as well as absolutely necessary in defining worthwhile goals that promote what the ancient Greeks termed “the good life”. Next Next post: Scotland’s independence debate: where’s the leadership?